A manager or coach can make one mound visit per pitcher per inning without needing to remove the pitcher from the game. If a manager or coach visits the same pitcher twice in one inning, the pitcher must be removed from the contest. Mound visits are limited to 30 seconds, starting when the manager or coach has exited the dugout and been granted time by the umpire. So now, instead of one 30-second mound visit from a coach per pitcher, per inning, teams are limited to six total mound visits, from players or coaches, across an entire nine-inning contest. 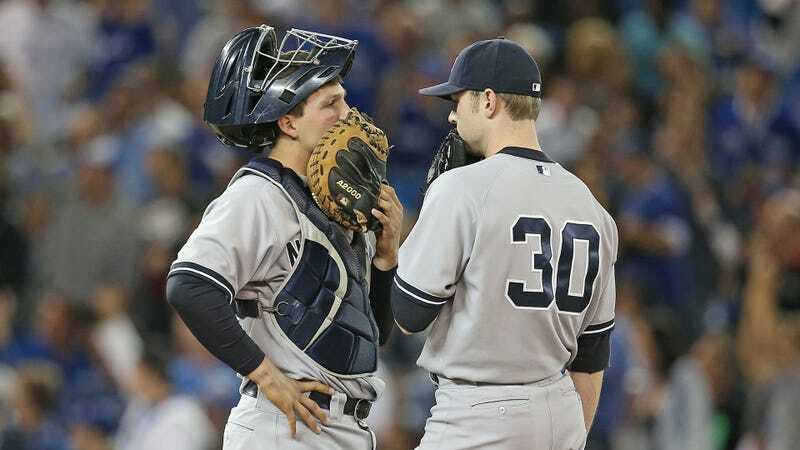 This means every time a catcher and a pitcher are having a hard time getting on the same page with signals, or every time a catcher wants to call for a pitch without signaling, in order to protect the signal from a baserunner, the team will have to consider whether the communication is worth biting into their limited number of total visits. So it’s a meaningful change—and, depending upon your goofy feelings about the unhurried joy of the game, a positive one—but hopefully less disruptive than pitch and batter clocks, and certainly less insane than starting extra innings with runners in scoring position.